Create pirate name tags for your guests with our blank printable skelton tags. 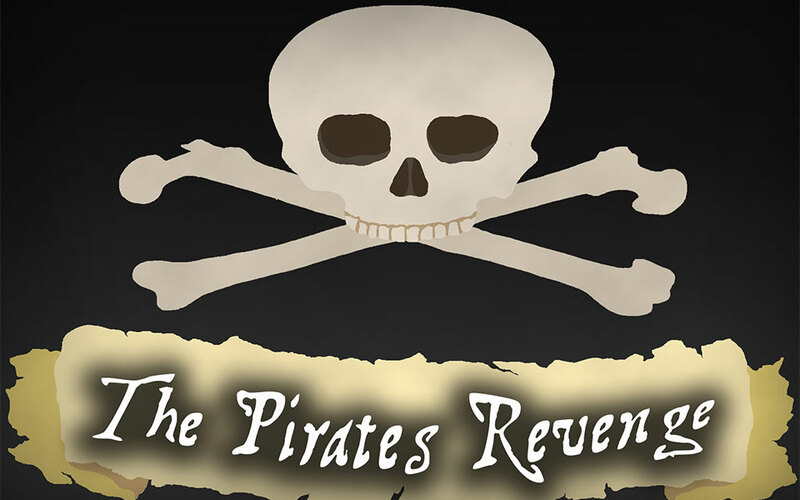 Use the link above to determine their pirate names and then write them on the tags. Add their real names as an aka - also known as - if you wish. Decorate with pirate flags and paper goods. Put on a cool pirate bandana hat and create some atmosphere by setting up some fun pirate background scenes like the ones below. 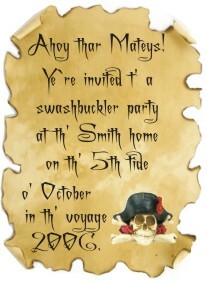 Design some fun invitations by typing the wording for your invitation into the applicable box at See How a Pirate Would Say It. Next, copy and paste the new text into a text or graphic program and print on appropriate paper (see below). You can find some great fonts at Simply the Best. There are instructions for downloading and unzipping the fonts there also. Print, buy or make some aged paper(burn edges and stain with tea). Then, roll up the paper, and tie with raffia(leave long tails on the raffia). Finally, put some sand, a few small shells, and the rolled up invitations, in clean, dry water bottles(minus the labels), being sure to leave at least one raffia tail hanging outside of the bottle when you close the lid (needed to get the invitation out). Hand deliver the bottled invitations or label them and ship them via the mail. 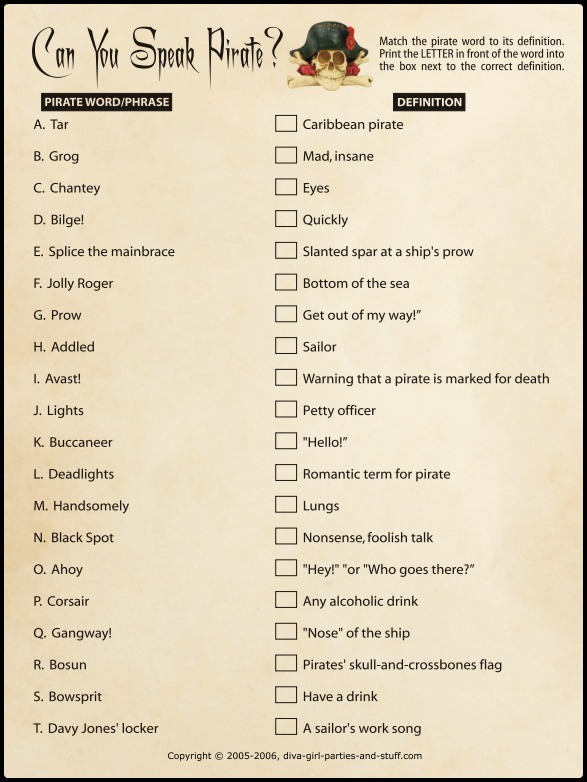 Can You Speak Pirate Game - Match the pirate words and phrases to their correct definitions. 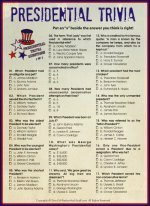 Pirates of Caribbean Trivia - A fun pirate quiz based on Disney's Pirates of the Caribbean movies. Liar's Dice - Challenge your guests to this game of deception featured briefly on Pirates of the Caribbean. Pirate Party Sword Fight Duel - Set up a balance beam and use toy swords. Have guests challenge each other to a sword fight. Two participants mount the balance beam (not set too high off of the ground - you'll want to avoid injury) and draw their swords. They duel till one falls off the beam and the other is declared the winner. I Challenge You - Guests are each given 10 pirate coins when they arrive. During the party they can challenge each other to any imaginable thing they can think of and bet as many of their coins as they wish. At the end of the party, the guest with the most coins wins a prize. Search for the Glass Eyeball - Purchase a bag of large marbles. Paint 3 of them with white waterproof paint or nail polish (if they aren't white already) and then draw eyeballs on them. Throw them, along with the other marbles and a small basket of cherry tomatoes (or something comparable) in a tub. Add cooked pasta and jello and cover with a large cloth. At the party let guest put their hands in the goo (without looking) and try to pull out a glass eyeball. The three guests who find the eyeballs win. 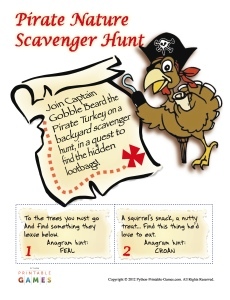 Visitor submitted pirate scavenger hunt.